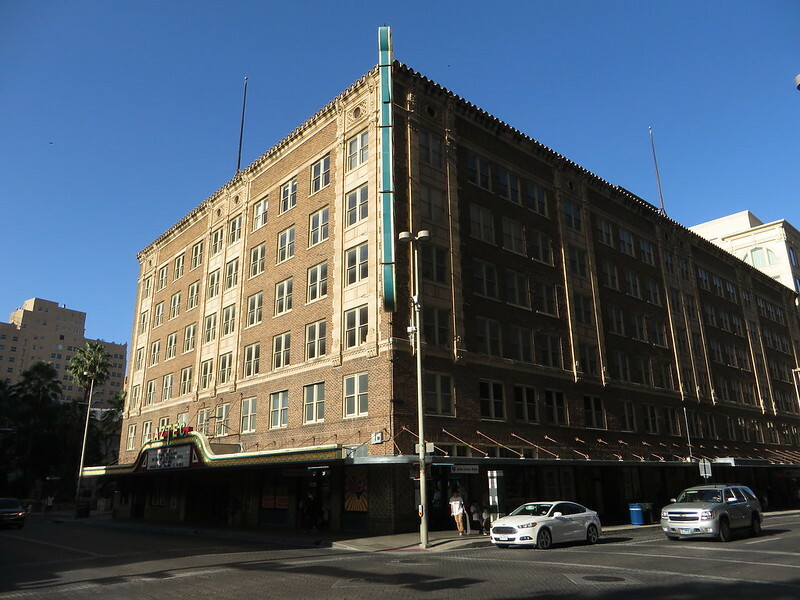 The Aztec Theatre is a historic theater in Downtown San Antonio, Texas, USA. Though the theater remained highly popular for many decades, by the 1970s, it was in decline. It was cut into three auditoriums as the Aztec Triplex, but this only slowed the eventual. In 1989, the Aztec closed. Since October 1992, the theatre has been listed in the National Register of Historic Places, which helped save it from demolition. Image published by Ken Lund on 2016-07-07 04:25:30 and used under Creative Commons license.